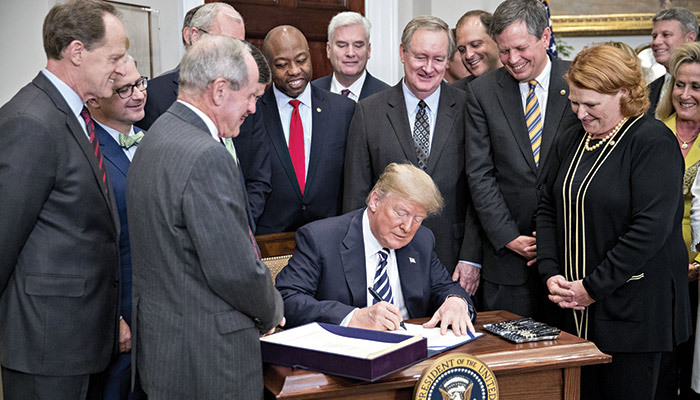 President Trump’s signing of S.2155 into law was the culmination of months and years of work on the part of ICBA and its community bank members. A look back at how advocacy from ICBA and its members made the dream of regulatory relief for community banks a reality. At long last, significant community bank regulatory relief has been enacted into law. Following years of ICBA and community banker outreach with our elected officials in Washington, the bipartisan Economic Growth, Regulatory Relief and Consumer Protection Act is providing meaningful relief to community banks of all sizes. The law is known by its bill number, S.2155, or as the “Crapo bill,” for Senate Banking Committee chairman Mike Crapo (R-Idaho). It includes a litany of reforms based on provisions in ICBA’s Plan for Prosperity regulatory relief platform. The package is designed to bolster lending and economic growth in local communities by rolling back excessive and unnecessary regulatory burdens. This multifaceted measure offers something for everyone and provides a crucial down payment on ICBA’s ongoing quest for a tiered and proportionate regulatory environment. It is the culmination of a grinding, years-long campaign by ICBA and community bankers to identify specific regulatory pain points and enact reforms that will make a meaningful difference. 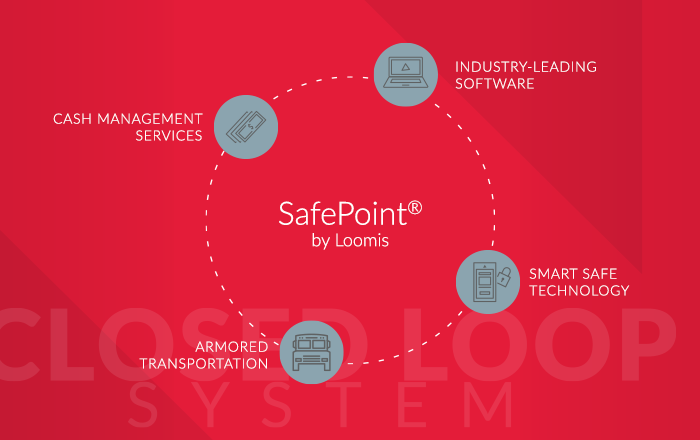 Here’s how we got to where we are today. Building off years of prior regulatory relief efforts, such as ICBA’s Communities First Act, ICBA introduced its first Plan for Prosperity platform in 2013. The community banker-led plan, which was later enhanced and expanded following the 2016 election, put forth a flexible set of legislative priorities designed to support bipartisan congressional advancement. ICBA strategically introduced the Plan for Prosperity as a robust platform of specific policy recommendations—rather than a large piece of legislation that lawmakers could cherry-pick reasons to oppose. Having this detailed menu of relief improved its chances of proceeding through a challenging and highly partisan Congress. ICBA successfully teed up many of these policies over the years in bills such as House Financial Services Committee chairman Jeb Hensarling’s (R-Texas) Financial CHOICE Act, and Rep. Blaine Luetkemeyer (R-Mo.) and Sen. Jerry Moran’s (R-Kan.) CLEAR Relief Act. While these measures often passed through the House only to be held up in the Senate, they helped form the basis of what would ultimately become S.2155. ICBA recognized early on how the 115th Congress and the Trump administration offered new opportunities to fully realize the regulatory relief policies that had been denied final passage. And we took full advantage. ICBA community bankers met in April 2017 with Treasury secretary Steven Mnuchin and staff at the Treasury Department to lay out a detailed case of how community bank overregulation was hurting the industry and the customers and communities it serves. ICBA offered the Treasury its Plan for Prosperity as a solution. That was quickly followed by a historic meeting of 100 ICBA leadership bankers at the White House during the 2017 ICBA Capital Summit and the release of ICBA’s Roadmap to Economic Growth and Prosperity, a comprehensive white paper complementing the Plan for Prosperity. The summer of 2017 was marked by a rapid succession of activity on this front. On the very day that then-ICBA chairman Scott Heitkamp testified before the Senate Banking Committee on fostering economic growth through regulatory relief, the House passed Hensarling’s Financial CHOICE Act on a largely partisan vote. The following week, the Treasury Department issued a report advocating targeted community bank relief with numerous ICBA-advocated provisions. The next month, ICBA Policy Development Committee chairman Robert Fisher testified on behalf of community bank relief before the House Subcommittee on Financial Institutions and Consumer Credit. ICBA and community bankers were hammering Washington on regulatory relief from all angles, and the momentum for reform was building. With a difficult 60-vote hurdle needed to clear legislation through the Senate, ICBA focused on key senators who would help the community bank cause. The rubber would hit the road in the offices of the Senate Banking Committee, where Crapo and moderate Democrats worked to craft a deal that would garner bipartisan support and have a good chance at final passage. To grease the skids, ICBA submitted to the panel a petition in September with more than 10,000 signatures from community bank employees and advocates urging legislative action on the Plan for Prosperity. In November, 18 bipartisan senators, led by chairman Crapo and several committee Democrats, announced a legislative agreement on community bank relief. It would be formally introduced in the Senate the following month as the Economic Growth, Regulatory Relief and Consumer Protection Act (S.2155). With a bill introduced, it was time to build bipartisan support through every available channel. ICBA quickly launched grassroots efforts on behalf of S.2155, which soon passed the Senate Banking Committee in December on a bipartisan vote of 16-7. Following a comprehensive campaign of calls, tweets, radio and print ads, more than 10,000 messages to lawmakers and a slew of community banker op-eds from Baltimore to Santa Fe, the bill passed the full Senate in April in a bipartisan vote. ICBA worked to ensure the Senate vote on S.2155 would survive multiple filibusters, more than 100 amendments and nearly two weeks of Senate floor debate—where several powerful senators were trying their hardest to bring it down. The Senate vote, with its supermajority threshold, was a considerable hurdle—one that has crushed many regulatory relief attempts in the past. But the grassroots prevailed, and the Senate passed S.2155 with a 67-31 vote. House passage immediately presented its own challenges. Several members of the House sought to expand on S.2155, which would have jeopardized the delicate bipartisan balance crafted in the Senate and forced a changed bill to go through the Senate all over again. ICBA and community bankers responded in force. In April, you advocated prompt House passage of S.2155 in more than 325 congressional meetings and a meeting with National Economic Council director Larry Kudlow. In May, ICBA submitted a fresh petition signed by more than 10,000 community bank employees and allies urging immediate passage, while a coalition of 43 ICBA-affiliated state community banking associations weighed in. Ultimately, our collective voice was heard. The House agreed to vote on S.2155 in exchange for delivering a separate set of regulatory relief proposals to the Senate. In May, it passed S.2155 on a bipartisan 258–159 vote, sending the bill to the president to be signed into law. The final vote was a testament to the hard work and diligence of community bankers, ICBA leadership and staff, our affiliated state associations and industry allies. This collective effort paid off in the many pro-growth provisions contained in the new law, including relief from mortgage, capital, data-reporting and other regulations. There are beneficial regulatory relief measures in S.2155 for community banks of all sizes (see sidebar). ICBA sincerely thanks community bankers for your years of service to make these policies a reality. It is a significant achievement, particularly in the extremely partisan environment of modern Washington. But make no mistake—our regulatory relief battle will continue. While federal rule-writers get to work enacting the many pro-community bank policies contained in this important law, ICBA has wasted no time continuing our pursuit of tiered and proportionate community bank regulation. From excessive Bank Secrecy Act requirements to Consumer Financial Protection Bureau overreach to leveling the playing field with tax-exempt credit unions and the Farm Credit System, ICBA’s relentless advocacy will continue. Thank you again, community bankers. Our industry’s peerless reputation, commitment to localized economic growth and dogged grassroots outreach have paid dividends. Let’s keep up the good work. The Economic Growth, Regulatory Relief and Consumer Protection Act contains numerous provisions from ICBA’s Plan for Prosperity. Paul G. Merski (paul.merski@icba.org) is ICBA group executive vice president of congressional relations and strategy.